Sometimes Foodie: Fancy Fruity Friends Drinking Beverages? - My New Tumblr Aesthetic? 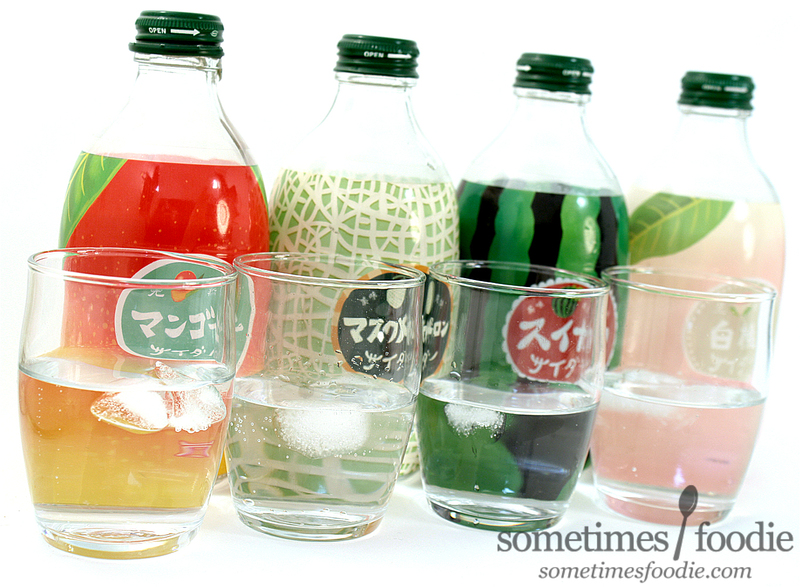 Fancy Fruity Friends Drinking Beverages? - My New Tumblr Aesthetic? We all know which option won out. Let's pop these bottles! 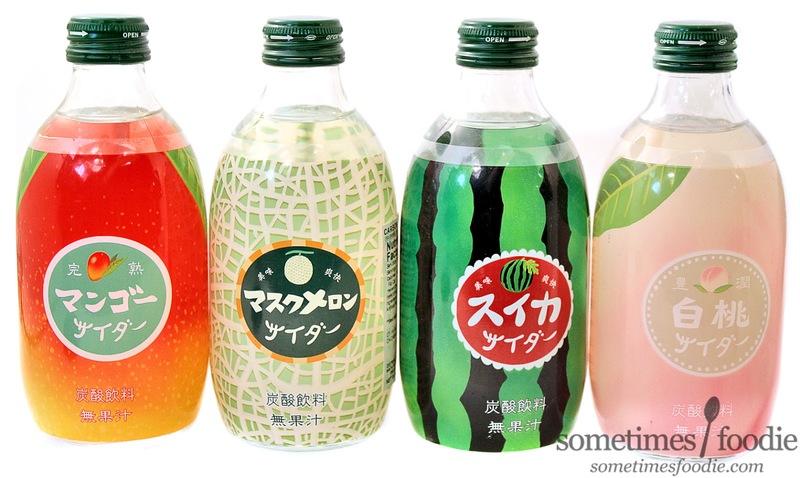 The English nutritional stickers weren't as informative as I would have liked, so I tried googling this line to see what the brand name could be, and the only real thing I found were these listings for "Friends Drinking Beverages" on Amazon-Japan. All of the flavors are available for purchase there, in case you guys were interested, but I'm not sure how shipping would work. The only visually unique thing about these bottles are the shrink-wrapped labels. 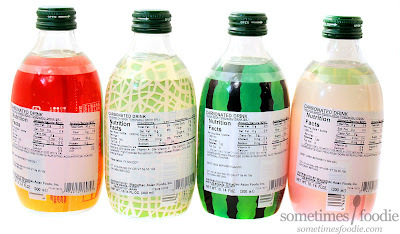 Other than that, the caps, bottles, and liquid inside all look the same. Without further delay, I'm just going to go right down the list and try each one. First up, mango! Once opened, the liquid inside smells very sweet and a little misleading. My first thought was that this smelled like gummi peach rings, but there is a tropical twist in there that reminds me of the gummi mango candies from Trader Joe's. I poured some into a little glass with ice and took a sip. Flavor-wise, this is more refreshing that I thought it'd be. The flavoring is fairly authentic, again, it's like a soda-version of the gummi mangoes from Trader Joe's, but the light carbonation helps to keep things from being too syrupy. It's a sweet, refreshing, tropical flavor that is perfect for summer sipping, and I could honestly see this being a great beverage straight-up, or a very fun mixer for some boozy beverages. This one smells a little bit scary to me. I've had a lot of melon flavored sweets from Asian, and while some of them have been realistic and delicious, a fair share have tasted like Chapstick. This scent would be great for a cosmetic, or candle, but I am skeptical about how this will work as a beverage. I took a sip, and it wasn't awful...but I certainly don't want to drink much more of it. In it's defense, the flavoring is more authentic than I expected. This tastes like ripe cantaloupe juice that has somehow been carbonated, but even though I LOVE eating cantaloupe, drinking it is another story. My boyfriend loves the melon flavored popsicles I pick up at H-mart, so I let him give this a try. He hated it. Absolutely hated it. Of the four, this was definitely the least palatable and I can't think of any way for us to really salvage it. 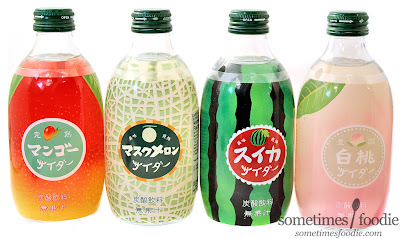 Melon flavored sodas are popular is Asian, so this definitely has it's audience, we're just not a part of it. Maybe watermelon will redeem it's melon-flavored brethren. This one smells really light and barely sweet at all. Almost like the white portion of the watermelon rind with a hint of carbonation. It's actually really refreshing and a nice change of pace. I took a sip, and even though it tastes sweeter than it smelled, it is still very light and refreshing. 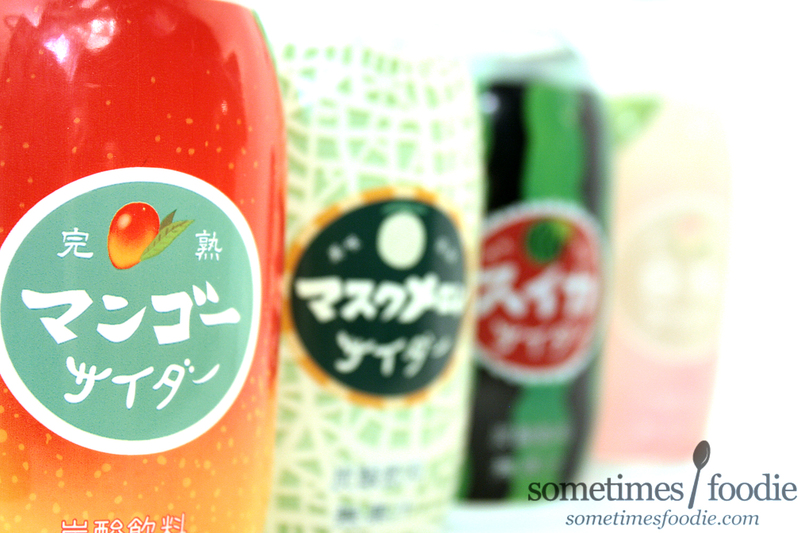 Almost like drinking a flavored seltzer instead of a a sugary soda. The watermelon flavoring is giving me flashbacks to those bottled watermelon juices I reviewed a few years ago. I like this one the best so far and it's WAY better than the musk melon. 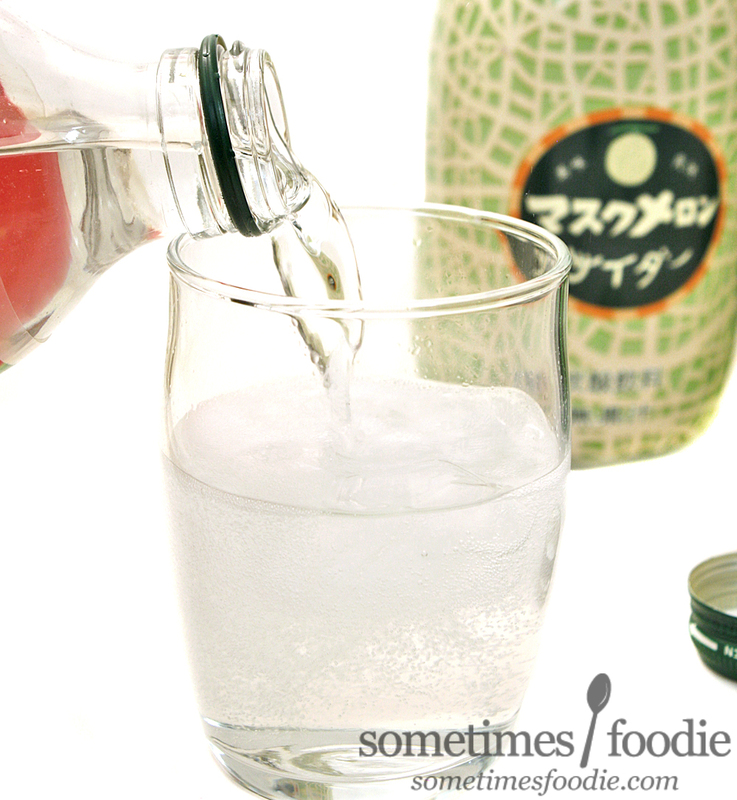 Of the four, this flavor was the most sippable, thanks to it's lightness. Lastly, we have white peach. The cutest label of them all! It just screams pastel Tumblr aesthetic. Once opened, this smells like syrupy sweet peach nectar, but oddly enough I felt like the mango smells more like peaches than the actual peach flavored drink. The scent for this one leans a little bit to the floral air-freshener-side of peach, but it's not entirely off putting as far as beverages go. Still, I think I rather smell this one than drink it. I took a sip, and it tastes like I am drinking a body spray. It's very bold, but not in a good way. I was shocked, since I figured this would be the safest flavor of the four, but I like this even less than the musk melon. If they translated this taste into a scent, I'd buy the entire line, but this just doesn't taste like something that should be food. All four were gorgeous to photograph, but only two were truly drinkable. With the imported price tag, I would say they are worth trying at least once, and they'd make for a fun taste testing party with friends, but you could probably find a lot more bang for your buck elsewhere. I don't think I'd repurchase them.